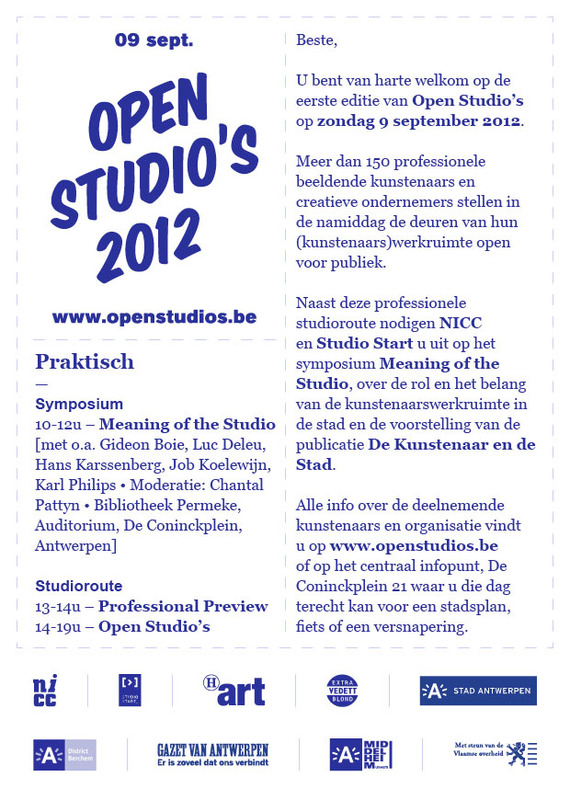 Open Studio's 2012 is the first artists studio track in Antwerp asserting the presence of professional artists and creative entrepreneurs and allowing the public to discover the abundance and diversity of artists and artistic practices in the city ​​of Antwerp. On Sunday 9 September 2012 more than 150 professional artists and creative entrepreneurs will open the doors of their workspace to the public. 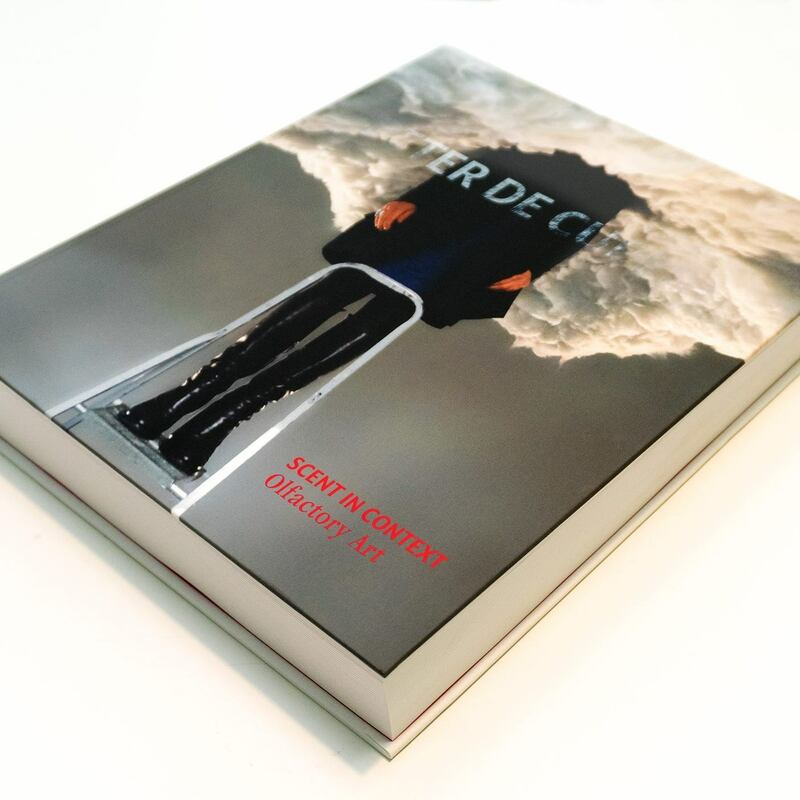 Participating artists: Rachel Agnew, Philip Aguirre, Michiel Alberts, Nick Andrews, Sophie Anson, Charif Benhelima, Guillaume Bijl, Koen Broucke, Fia Cielen, Tine Colen, Willem Corten, Cel Crabeels, Sergio De Beukelaer, Amélie de Brouwer, Peter De Cupere, Ellen De Meutter, Eva De Leener, Luc Deleu, Daniel Dos Santos, Arpaïs Du Bois, Jan Fabre, Kris Fierens, Kris Gevers, Chris Gillis, Harry Heirmans, Oscar Hugal, Debby Huysmans, Gary Leddington, Tom Liekens, Ives Maes, Werner Mannaers, Sarah Marks, Michèle Matyn, Rufus Michielsen, Warre Mulder, Maryam Najd, Nadia Naveau, Tinka Pittoors, Lieven Segers, Boy en Erik Stappaerts, Mark Swysen, Luc Tuymans, Dennis Tyfus, Joris Van de Moortel, Dirk Van der Eecken, Wouter Van der Hallen, Els Van der Meersch, Anne-Mie Van Kerckhoven, Benjamin Verdonck, Leon Vranken, Veronik Willems, Cindy Wright, Hans Wuyts. Organised by NICC and Studio Start.